Welcome to our brand new blog. We'll be posting here about some of our projects and the work we've completed. Check back often for pictures and the latest news on our flooring services. One of the biggest projects we've undertaken in the last few years has been the relocation of our warehouse to new bigger and brighter premises. This extra space has allowed us to deal with the increased demand for our flooring services, especially useful when edging rugs for very large rooms. 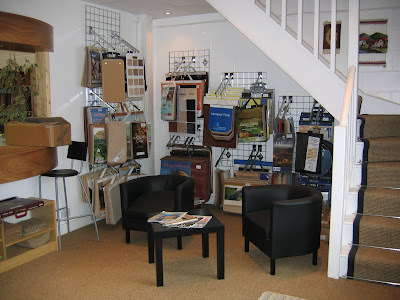 Here's a picture of our small showroom. If you would like to find out more about us and our flooring services then head over to our website and see the services we offer.